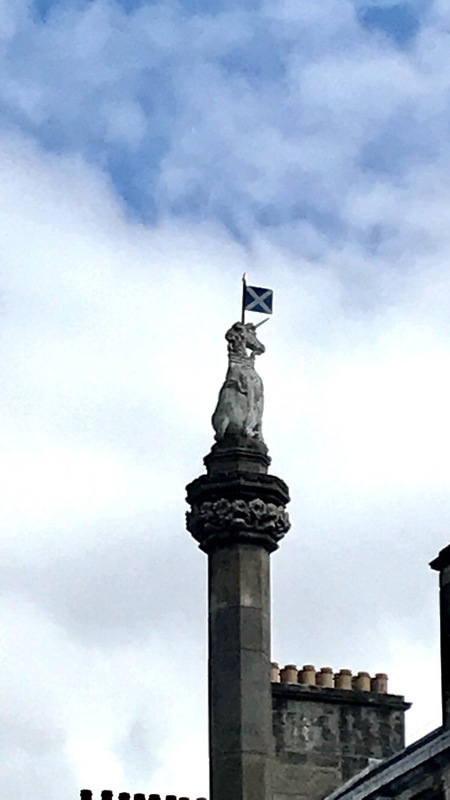 What I loved was the reason the unicorn was so important to the Scots: first it was said to be the only real enemy to the lion which was the adopted symbol of England (and everyone knows the Scots have little love for England). 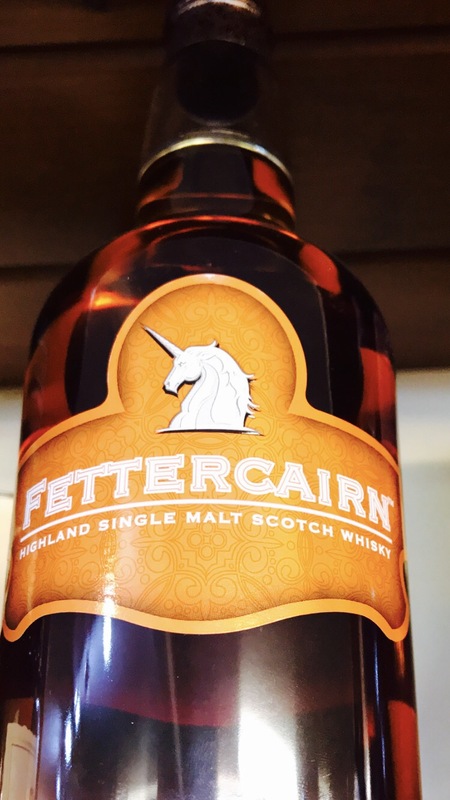 Even more importantly the unicorn was known to use its power to protect and provide resources for the other animals. 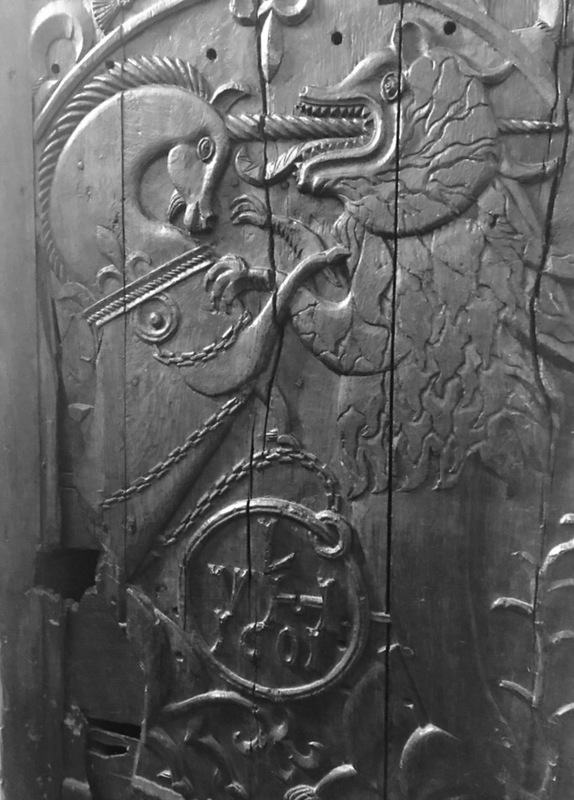 The horn was known to be an antidote to most poisons and the legend has it a snake would cause trouble poisoning local water sources but the unicorn would dip her horn into the water and purify it again. 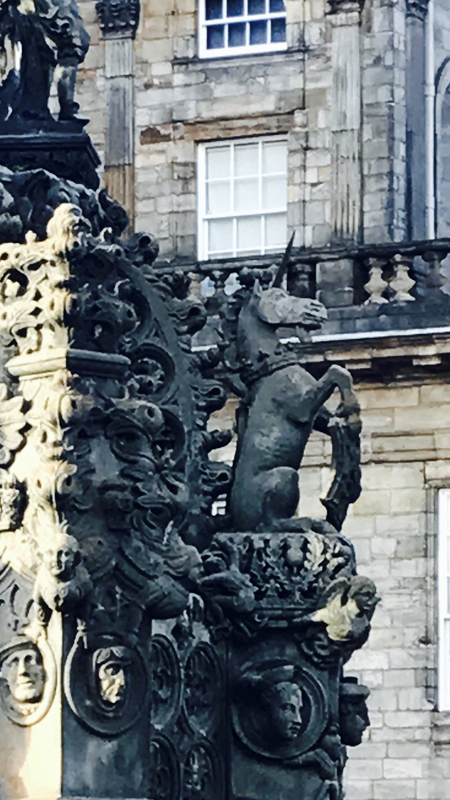 One thing I noticed was the unicorn was always depicted in chains to a royal neck ring. 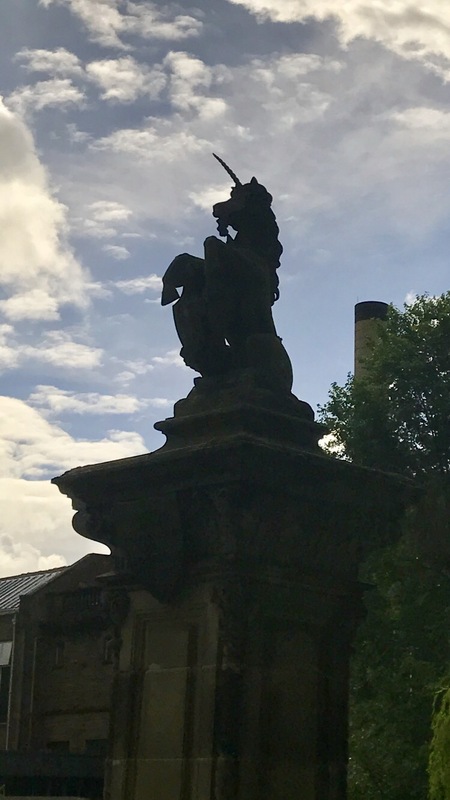 While there isn’t one answer to why that is today- I speculate that all men want to tame the untameable and because men ruled for so long (yes, there is the occasional queen but men still had the power) they wanted to show symbolically their ability to rule. 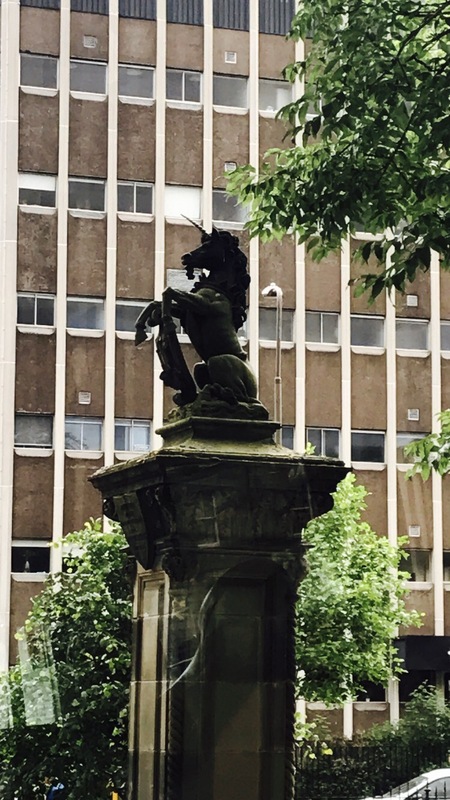 I think the pure virgins whom it was said the unicorns would submit to and become tame would have depicted them free and allow the unicorns to chose to serve the good humans with their powers. 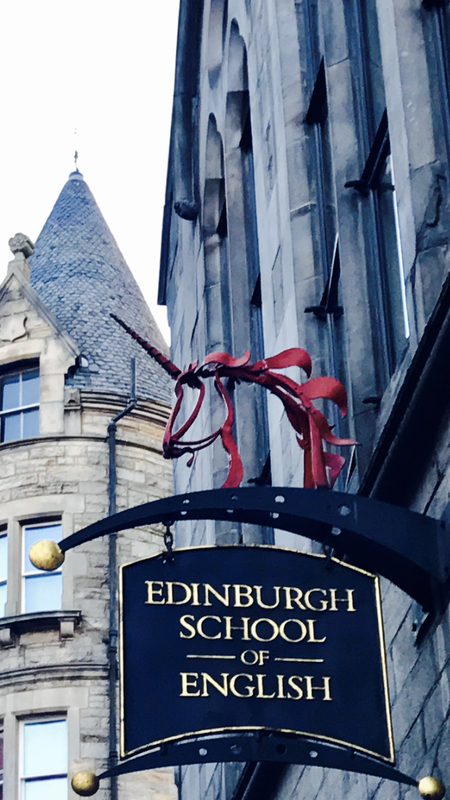 While I had a fantastic trip back in history, visited the home of Sir Walter Scott and even met the Duke and Dutchess of Sutherland and was given a private tour of their home and gardens bordering the Tweed River, it was nice to come home to my own unicorns. Don’t tell anyone else though, we try to keep them on the down low! Upon arriving home it was like Christmas in July… and it’s not even my birthday yet! 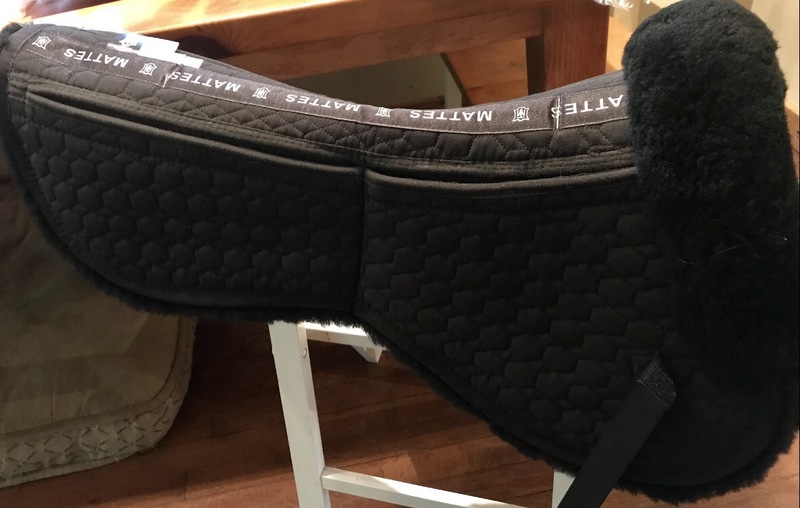 My new (used) Balance saddle had arrived with mohair girth and a Mattes shim pad I found for a great deal on eBay. 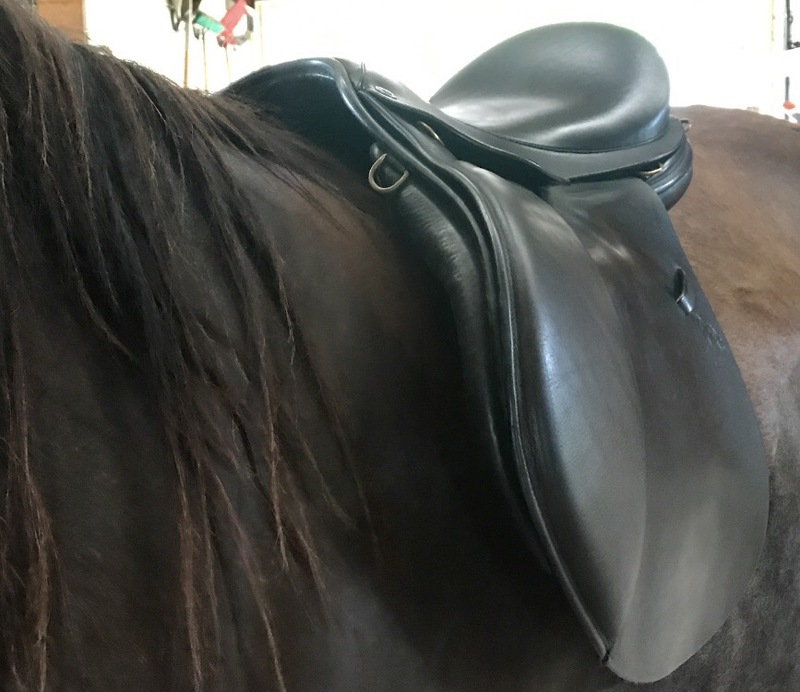 You can see the build of this saddle really leaves room for the horse to move! 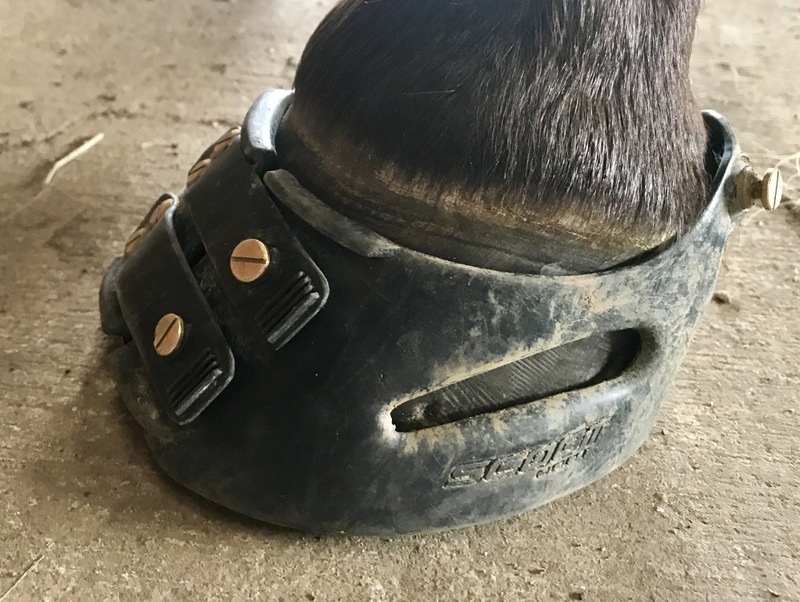 Coincidentally I’ve been contacted by both Scoot Boot folks in AU and Jackie from Two Horse tack about trying some products and I am geared up with my Scoot program which I’m hoping will give me a better ‘hoof up’ in trying for barefoot again as well as a timely new English style breastplate for my new saddle! 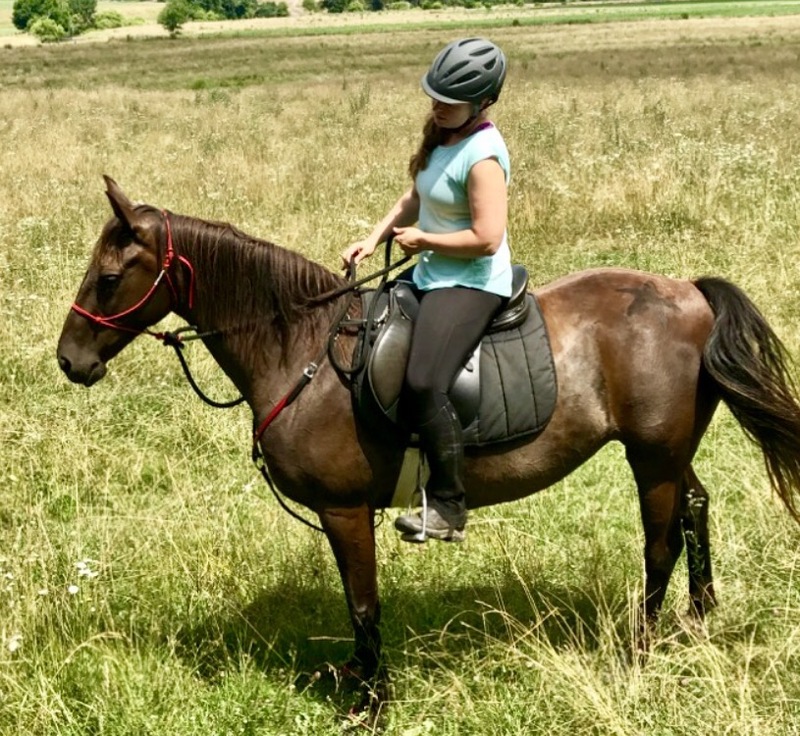 So it was wonderful to reconnect with my horse buddies (human and equine) and get a short re-entry ride in. 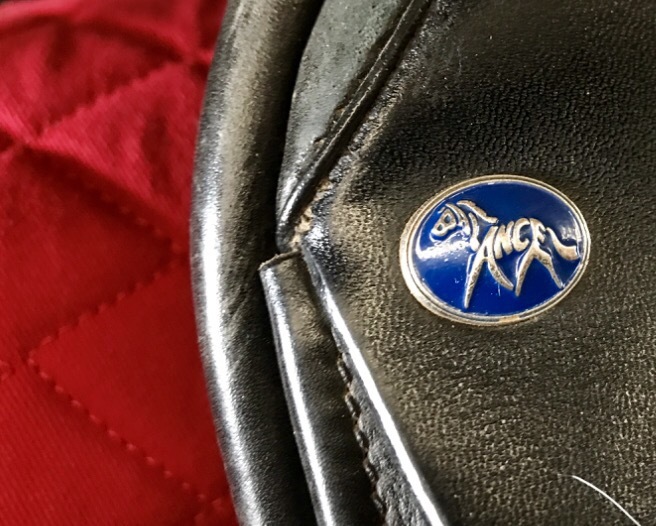 I’m embarking on some exciting adjustments that have been in planning stages for a while now including the Balance saddle and trying the Scoot products that so far have stayed on 100% (when used as suggested!) to see if Khaleesi might do better barefoot. 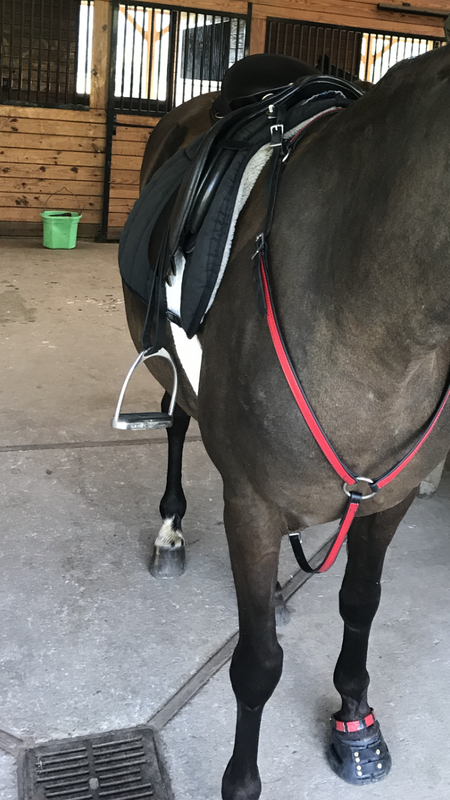 For the saddle, I’ll be having Dee Janelle from Simple Equine Teaching help me tweak the pad set up and my riding balance and abilities next month. Meanwhile I’ll be experiementing on my own to see what works and how I feel. 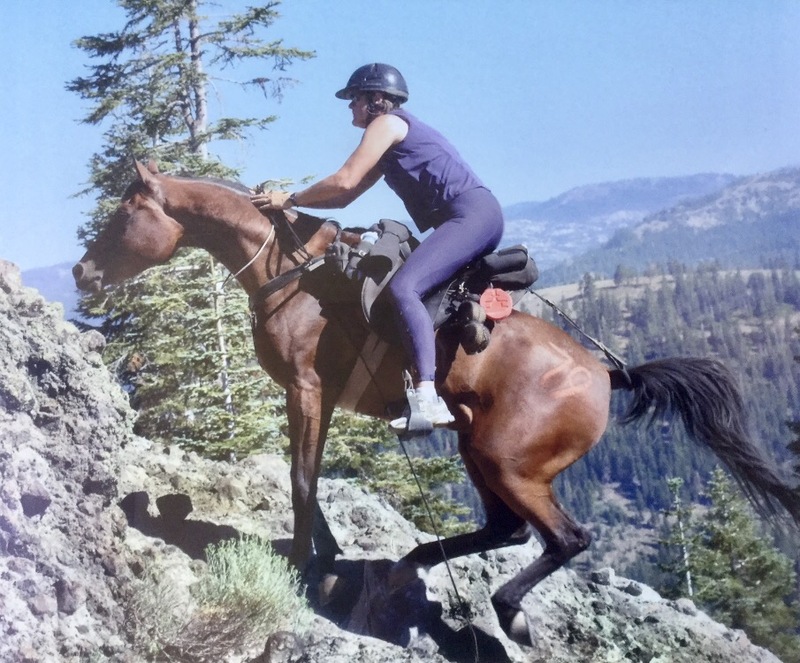 I also connected with endurance rider Traci Falcone who rides in Balance and rope halter or neck string (depending on the horse) for some advice from her experiences. For my first ride in the Felix GPJ I have to say I was very comfortable and had no sliping or shifting at all in any direction. 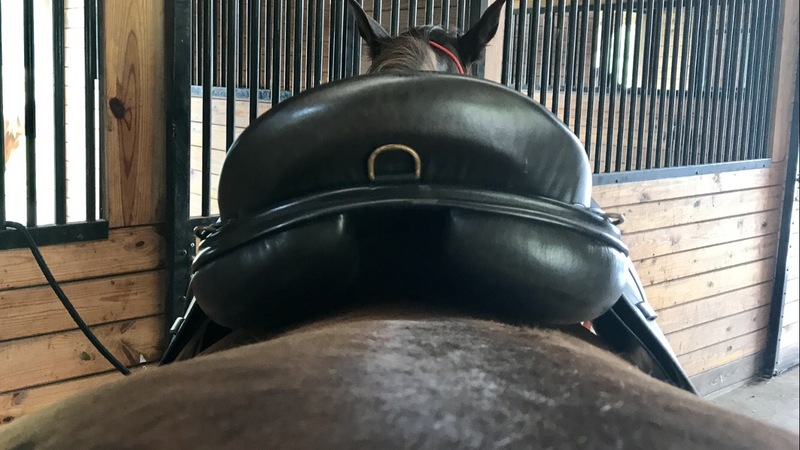 The saddle helps encourage me into a position that gets my pelvis/sacrum underneath me (as opposed to a hollow back) and will allow my horse to round her back as well- and with a saddle that won’t inhibit that lift and development of muscles. It is different though and like anything takes some getting used to. Riding that way did make my back a little tired though not sore. 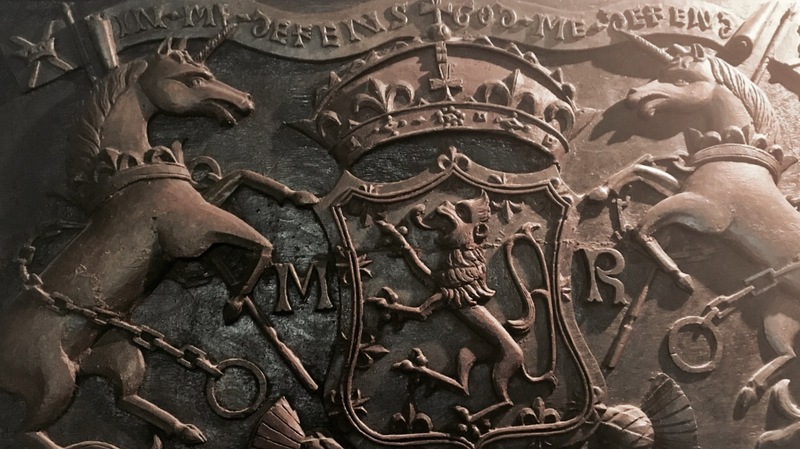 I believe I’ll get stronger and more accustomed to it – and so will she. I didn’t have the time to both check the fit of my new Scoot pads and glue them in (24 hour cure period) so I rode with just the boots and she was fine but we took the rocky trail and I still think she’s a little slow on rocks. However she was not much better in shoes and pads so I don’t think this program so far is any worse than the shoes were. One thing I noticed: her feet are beginning to look harder and get some callousing around the edges. 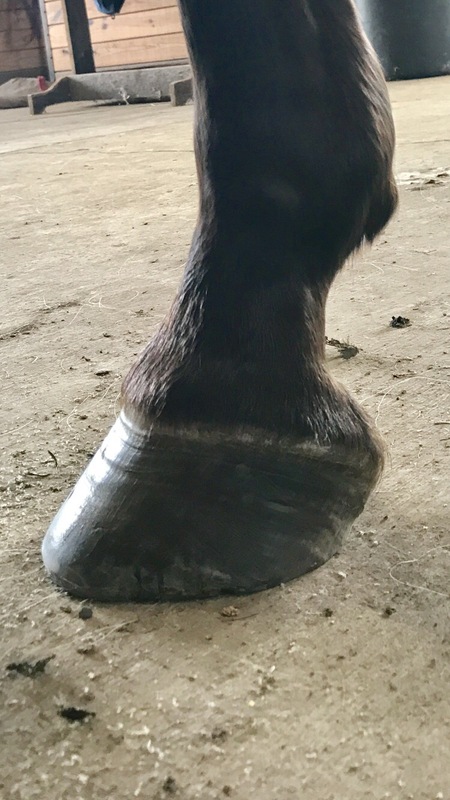 It seems they are growing faster- I know change of season affects that but she’s generally not grown hoof very fast in the past even in summer so I think it’s improving. 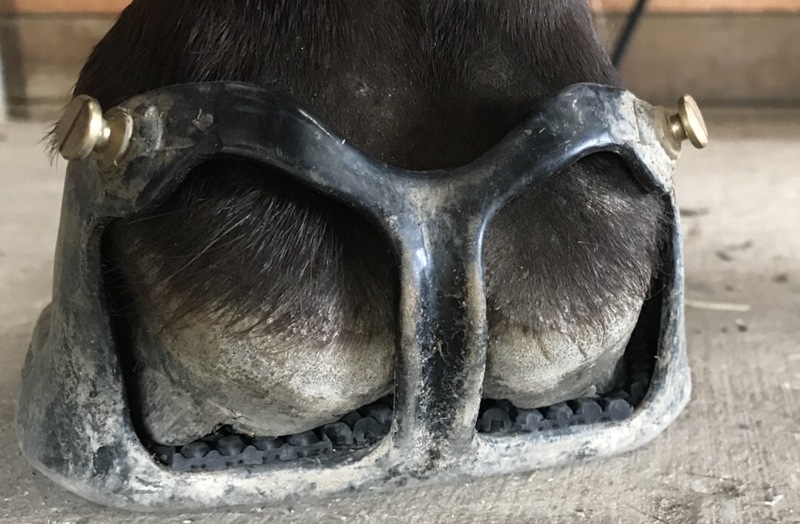 Between her diet change (no more filler grains or GMO products, she’s on California Trace and Bug Check Field Formula for minerals) and going barefoot for a month on her fronts I think she’s growing some nice hoof and starting to harden up. They aren’t pretty, but it’s definitely improving! Her back shoes are still on but will come off soon. 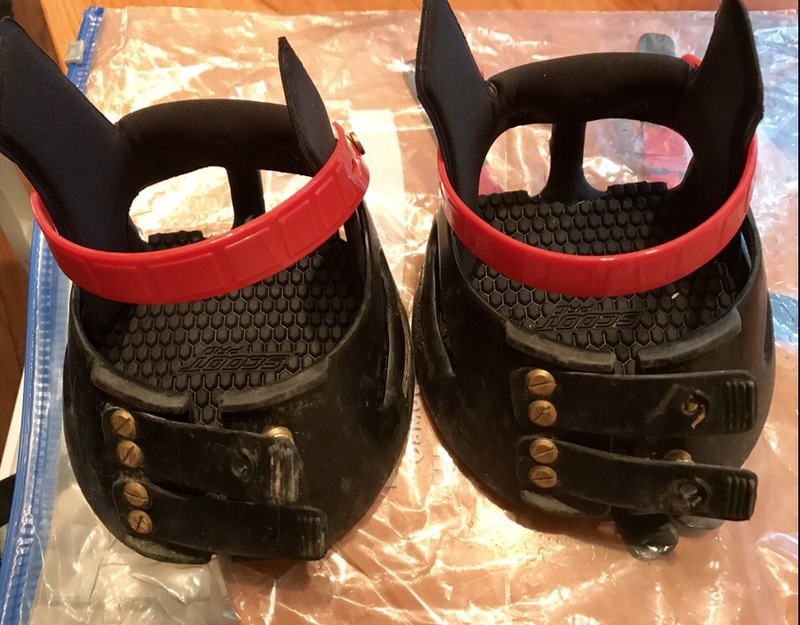 I will be curious to see how they look under the shoes and pads in comparison. 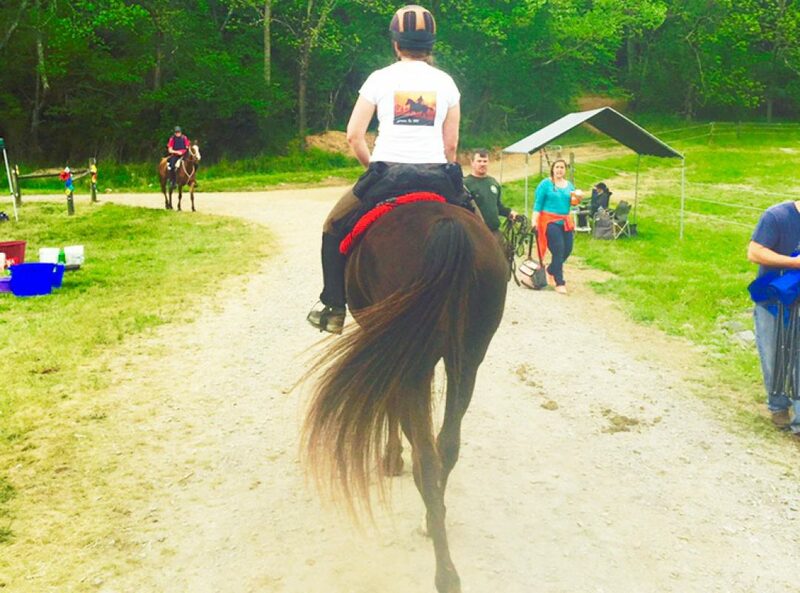 Tomorrow we have a visit with a cranial sacral practitioner for all the mares. 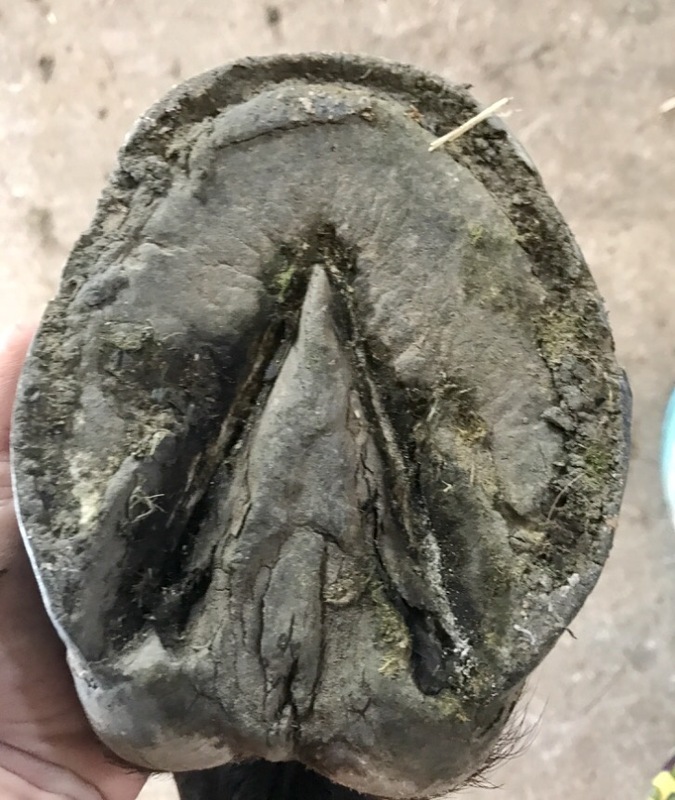 She comes very highly recommended and I am curious to see what she finds in each horse and if she gives me anything to work with that makes a difference. Of course I’ll keep you posted! 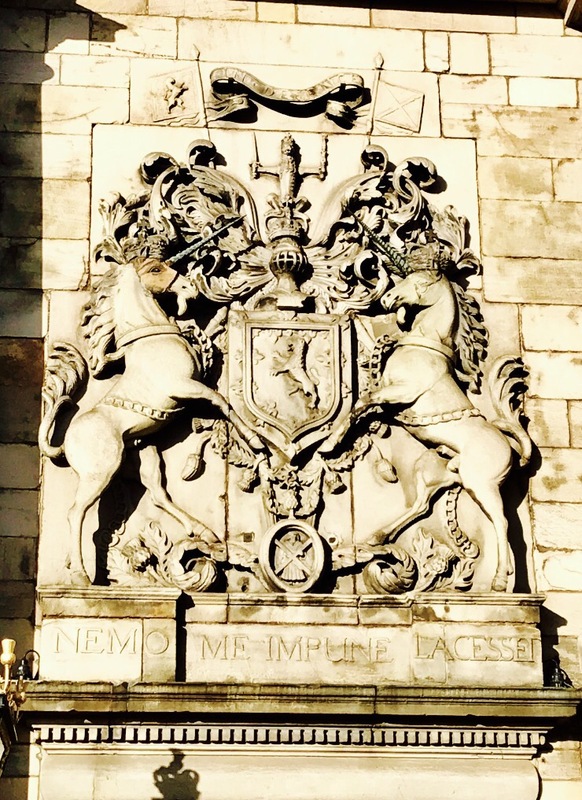 Previous: Previous post: Now what? 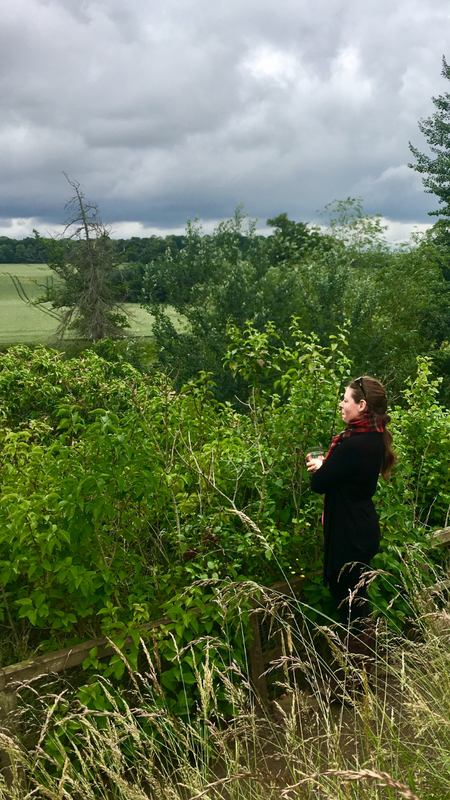 Next: Next post: Seek… and ye shall find.